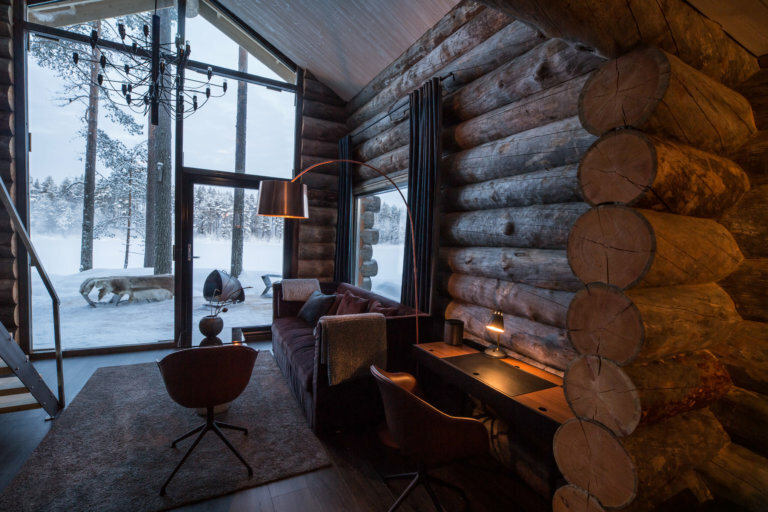 A cosy but beautiful cabin in the forest of Swedish Lapland. 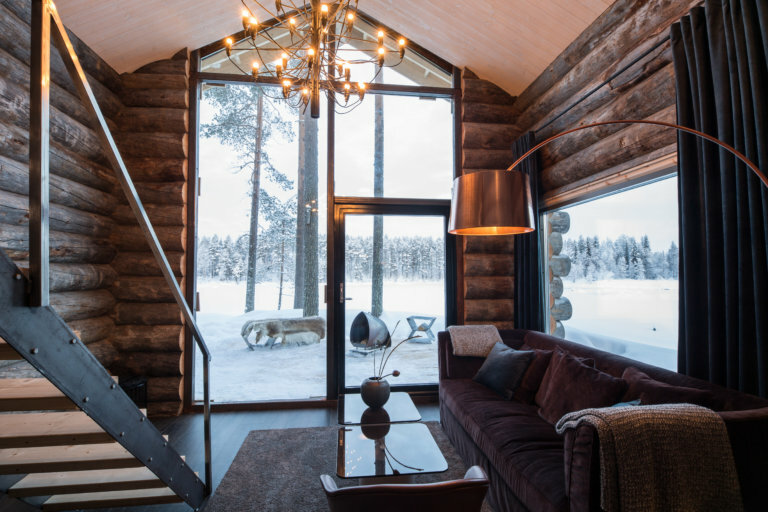 Arctic Retreat is an authentic luxury lodge in beautiful Swedish Lapland nature, with 2 traditional log cabins on the edge of the river with a scenic forest landscape all around. 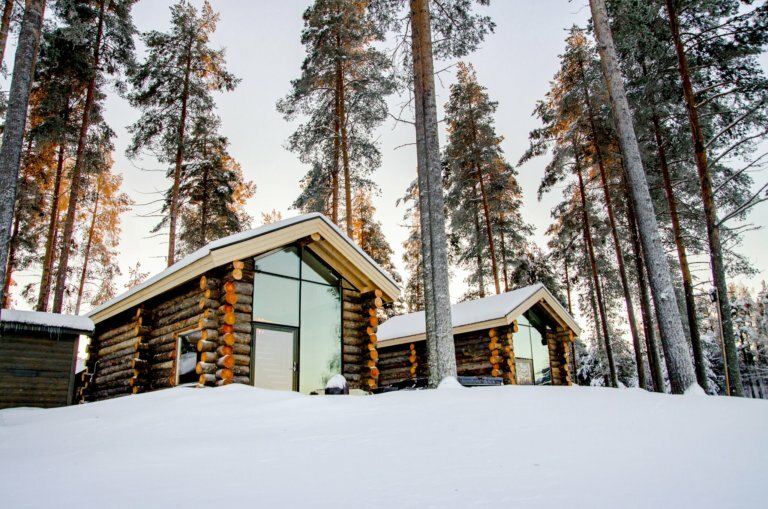 The bigger cabin sleeps 2-6 persons and the smaller cabin sleeps 2-3 persons. The experience is genuine in all aspects – from materials used, food served to the local people working on site. The focus is on a high level of personal service throughout the guests stay. 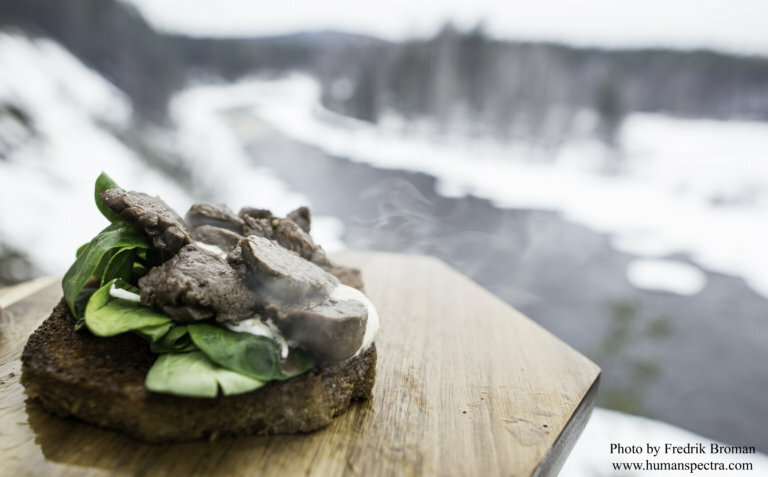 The chef serves locally produced food, drinks and snacks in an exclusive way. 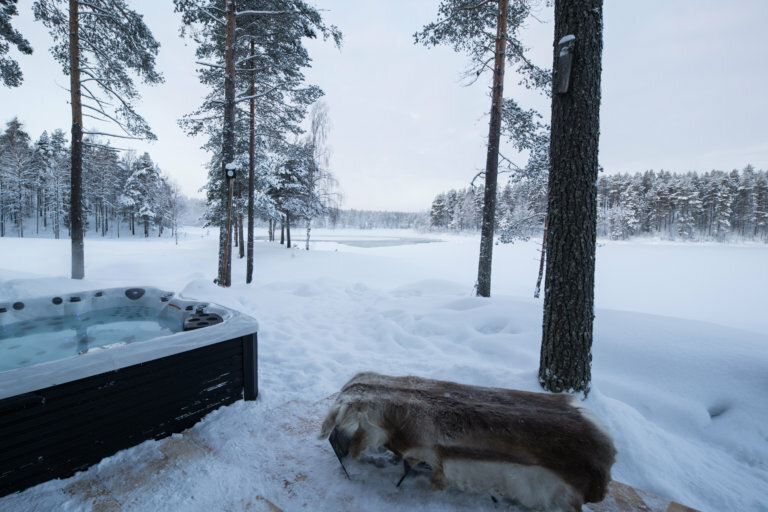 Guests can enjoy the hot tub, sauna, spa experiences and a wide range of outdoor activities on site. Local hosts are always present to ensure our guests have everything they need. 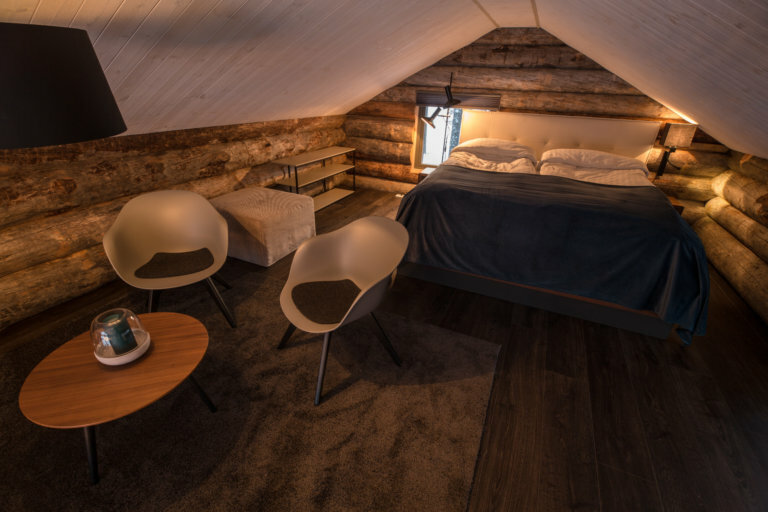 A big part of the Arctic Retreat experience is to share the Arctic lifestyle and this is sure to be a very special place to stay for your holiday!